If John Key is the face of moderation, there’s not much room left on the margins for the extremism of Don Brash. “Moderation” evidently means asset sales, tax breaks for the rich, cuts to government spending, a view that public services are “unsustainable” and unaffordable” plus – as Key indicated at yesterday’s post -Cabinet press conference – forced contraception for women on benefits as an idea worthy of further consideration. If you can get all that from the smiling face of “moderation” who needs the Act Party? Act’s first dismal round of polls under its new leadership suggest that the centre right voters have indeed decided that Act is a redundancy. That’s an entirely rational conclusion. As a political shell company for the National Party – led by its lesser, older lights – the Act Party’s only purpose seems to be to foster the illusion of Key’s moderation. Yesterday, Key-the-moderate was engaged in the age-old right wing election year rhetoric of welfare bashing. 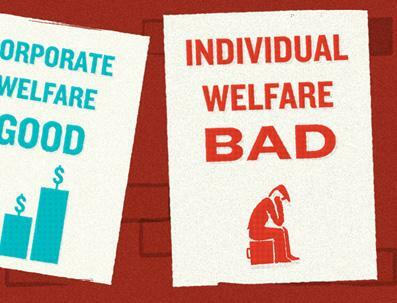 These welfare alarums are bogus, of course. Only three years ago, this same allegedly broken system had benefit levels down at record lows. The driver of beneficiary numbers is not the mindset of individual beneficiaries, or the fact that New Zealand has suddenly transformed itself into a nation of shirkers. The main determinant of beneficiary numbers is a functioning economy where jobs are available – and that’s something for which Key takes no responsibility whatsoever. Instead, the government seems to be hellbent on making beneficiaries keep their side of the social contract – while taking no responsibility as managers of the economy, for failing to keep its side of the bargain. Are we deeply unequal? I’m not sure that’s right. I haven’t had a really good look, apples with apples comparison. If you take New Zealand’s welfare system for starters, which we’ve just been discussing, that’s universally regarded as a more generous scheme than in many other countries. So at one end of the scale you could say New Zealand is arguably providing more support for a lot of people. If you go and have a look at the taxes on average income I think its either the IMF or the OECD is about to come out and say that New Zealand has one of the lowest levels of tax on average income and that’s because of Working For Families which in tough times the government has continued to support. At the high end yes of course, we have some New Zealanders that earn very large incomes but relative to the US or even Australia a bank CEO in New Zealand might earn -$3-4 million and $16 million in Australia. I’m not so sure that range is as deep as other countries. Whitehead..,.,.,, I think the general point is right – that if you get highly unequal societies, it becomes really difficult to sustain your economic performance, so that is something I think most New Zealanders would want to think about. Espiner : And we’re a highly unequal society. You say in that document we’re the seventh most unequal country in the developed world. Whitehead : In the advanced economies, yes, but the world’s much larger than that. Espiner : So we are a highly unequal country? Whitehead : Well, I think the issue for New Zealand is that there are some people who are caught in a trap, and they’re caught in some senses between generations as well, so I think most Kiwis would be pretty concerned about kids that go to school without breakfast, for example. And it’s that kind of thing that we need to focus on as a country. There’s so much that’s positive about this place, but there’s a few things we really need to tackle. Espiner : So you’re worried about the gap between rich and poor at Treasury. Werewolf – Ten Myths About Welfare Late last year, the OECD released comparative figures which showed that one of the main reasons for the recent rise in people receiving disability benefits is that New Zealand has been operating from a very low base – mainly thanks to the pre-Rogernomics policies of full employment and prior methods of institutional care….,Even so – and this is the relevant point – the numbers of working age people who receive sickness and disability benefits in New Zealand is still well below the OCED average. In 2008, this ratio was 3.8% in New Zealand, as compared to the 5.7% OECD average. Moreover, the share of people on disability benefits is among the lowest in the OECD for older workers aged 50-64, but fifth highest for young adults aged between 20-34. Therefore, if there is mis-diagnosis going on here – as Paula Bennett would no doubt suggest – it is among young adults, which represents even worse news for the Key government. It means that the already calamitous figures for youth unemployment are even worse than they currently seem. Either way, the bulk of those people on sickness and disability benefits likely to be re-classified as work-capable by the Bennett reform process (ie, young people on sickness and disability benefits) are going to be tipped out onto the very part of the job market where the shortage is already the most extreme. To continue : New Zealand’s spending on sickness and disability as a share of GDP was also lower in 2008 than the OECD average – 1.3% to 1.9%. A further sign that if anything, New Zealand has been skimping in this area. Moreover, the unemployment rate for New Zealanders suffering from chronic health or disability was in 2006 (the most recent comparison period available) only 7.4% – which is far, far short of the 13.7% average unemployment rate for such people among OECD nations as a whole. Conversely, the employment rate for sick and disabled people in New Zealand is among the highest in the OECD – 59.5% compared to 43.6%. The sick and disabled are already working in large numbers here even though, as the OECD also noted, such poorly paid work still leaves their incomes lower than that of the general population of New Zealand. In the light of such figures – that show by international standards we have proportionally fewer of the sick and disabled on benefits, allocate relatively less of our national wealth to meet their needs, have more of them in work, and fewer of them on the dole – Bennett should be deeply ashamed of mounting any further attack on the people who currently receive such benefits. Try telling that to Mr Moderate.